It was a really good book and Erin is also my name. MY NAME IS ERIN!!!!!!!!!!!!! 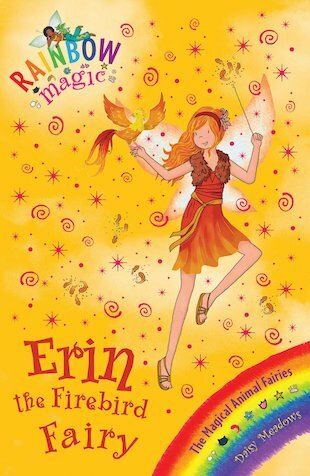 FIRST EVER RAINBOW MAGIC BOOK I EVER HAD!!!!!! NANNY GOT IT!!!!!!!!!!!!!! I love giggles the Firebird, Really Good!